St. Peter’s Church of Ireland is first and foremost a living, active place of worship which continues to serve the community in Drogheda as it has done for over 800 years. In addition to this primary function other facilities are offered which are part of the outreach of the Church of Ireland to the people of Drogheda and beyond. St. Peter’s Parish Hall was completed and officially opened on 30th September 2007 by Archbishop Harper. Photographs of the building of the new hall and the opening can be found in the Gallery. Although primarily intended for Parochial use, when not in use by the Parish the facilities in the Hall can also be made available to other users within the community. More information about the Parish Hall can be found here. 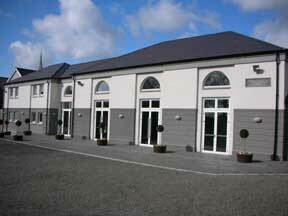 Inquiries about use of the Hall should be made by email to the Parish Office or tel: +353 (0)41 9838791. During the construction of the new Parish Hall, the opportunity was taken to reorder St. Peter’s Close (the area around the church). Space has been created for a limited number of convenient town-centre, off-street parking places which are now available from 8.00 a.m. to 6.00 p.m., Monday to Friday. Inquiries about parking should be made by email to the Parish Office or tel: +353 (0)41 9838791. The acoustics in St. Peter’s Church are outstanding but not only for live concert performances. The church has been used as a venue to make recordings of various artists, including Catherine Leonard and Hugh Tinney, Carmel Conway, the St. Peter’s Male Voice Choir, and Trio Avalon with several others in the pipeline. 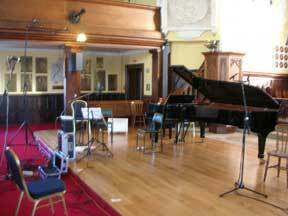 In addition to the excellent acoustics, the Steinway Model D, full-size concert grand piano may be available (with the permission of Drogheda Borough Council Arts Office). 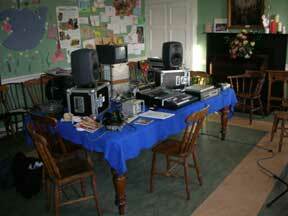 The large Vestry Room makes an ideal studio where equipment can be placed away from the performance area. Situated only a 40 minute drive from Dublin Airport or 30 minutes by train from Connolly Station, St. Peter’s is conveniently located in the centre of Drogheda, with accommodation, restaurants and all other facilities within easy walking distance. In spite of this convenience the church suffers from little extraneous noise making ideal for recording even the most exacting of pieces. The kitchen and other facilities in the Parish Hall may also be available for refreshment breaks or lunches (catering establishments are available within a 2 minute walk). Inquiries about recording in the church should be made by email to the Parish Office or tel: +353 (0)41 9838791.